I shot Waubonee Selfie while going on a food run during the installation of Diana’s solo show at Waubonsee Community College in Sugar Grove, IL. I shot the first exposure in the window of an empty storefront. The shadows and door-frame made an interesting intersection of black in the frame. 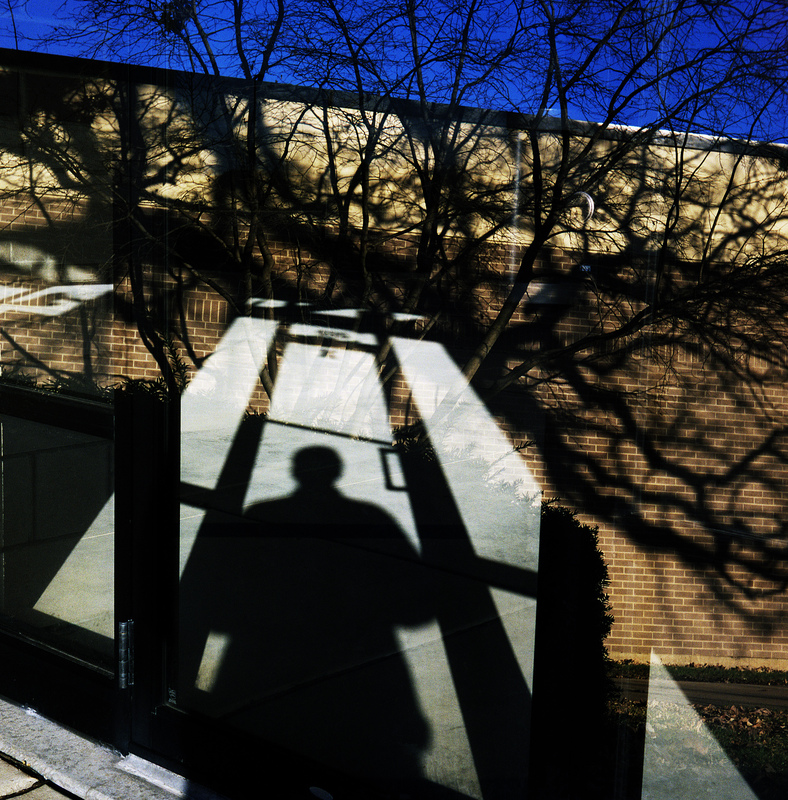 I took the second exposure to fill the space in the frame with the creepy shadows that fall in a brick wall on campus during golden hour. After development, I felt as though the tree and shadows act like a set of antlers or tentacles for a beast that grows out of me. This entry was posted in Chicagoland, Creating, Land of Lincoln, Photo of the Moment and tagged antlers, artist, arts, Chicago suburbs, Community College, Contemporary Art, creating, creativity, Double Consciousness, Double Exposure, Dual World, hoffman estates, Illinois, Mario Contreras, Medium Format, Photo of the Week, photography, selfie, shadows, storefront, Sugar Grove, tentacles, Waubonsee, WEB DuBois, window.